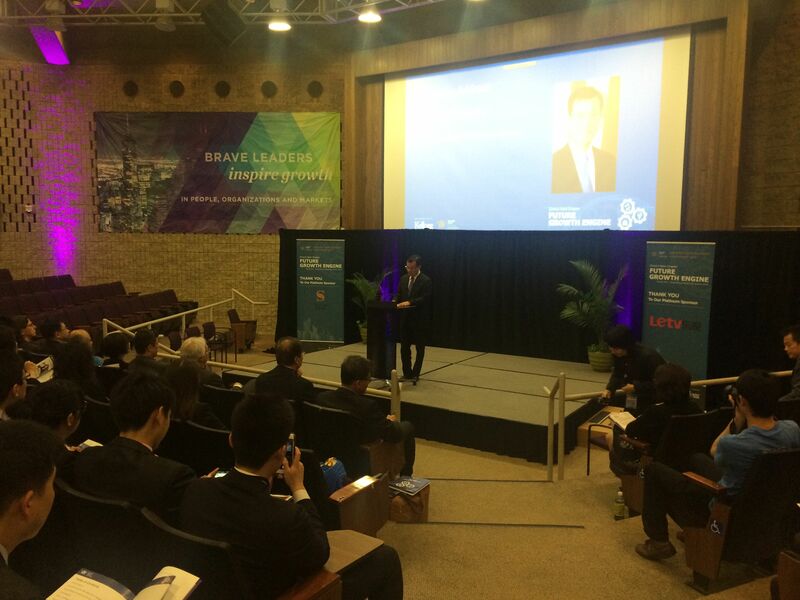 On May 9, Chinese Consul General to Chicago Zhao Weiping delivered opening remarks at the Greater China Business Conference 2015 organized by Kellogg School of Management of Northwestern University. Consul General Zhao stressed his confidence in the development of Chinese economy. He pointed out that in essence the “new normal” of the Chinese economy is a transformation of the growth mode. There are still many powerful engines China’s economy can rely on in the state of “new normal”. In order to ensure a long-term and steady growth of the national economy, China will not only transform the traditional engines, but also foster new engines. Consul General Zhao pointed out that the most powerful engine driving China’s economy remains the further deepening of the reform and opening up to the outside world. China’s economy will continue to benefit from the dividends of reform and opening up for many years to come. He also said that the extraordinary reform spirit of the Chinese people had made China’s economic miracle in the past three decades a reality, and would for sure guide the Chinese economy through all the difficulties and challenges ahead. After delivering the remarks, Consul General Zhao was interviewed by Resource Media Inc. on questions about China-US relations.